I got my score today and scored 251, such an affordable and excellent review"
"I just checked my Step 2 CK results. 252!!! Thank you so very much for such an affordable and excellent review." Specialty exams simulate a block on the Step 2 exam. All questions have comprehensive explanations with high yield Bullet Summaries. Specialty exams include > 200 questions that are not available in the free Qbank. Milestone exams consolidate your knowledge and improve test endurance. Begin the study plan at any time in order to better accomodate your studying. 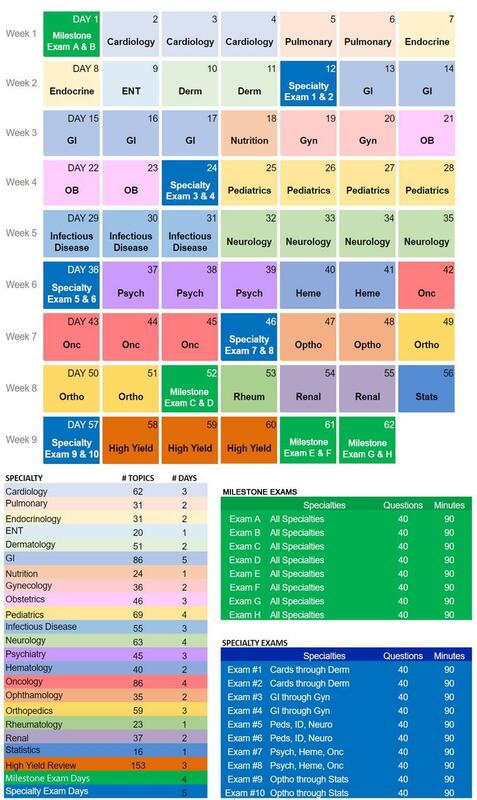 The entire Study Plan, including the daily reading lists and all Milestone exams, will be posted in the private Study Plan group and can be completed on your own schedule and pace if you desire.